I’ve been on quite a cleaning spree here lately! That always seems to happen after Christmas for me. We take down all of the decorations, then I crave clean and simple! The latest cleaning experiment on my list was my dishwasher. 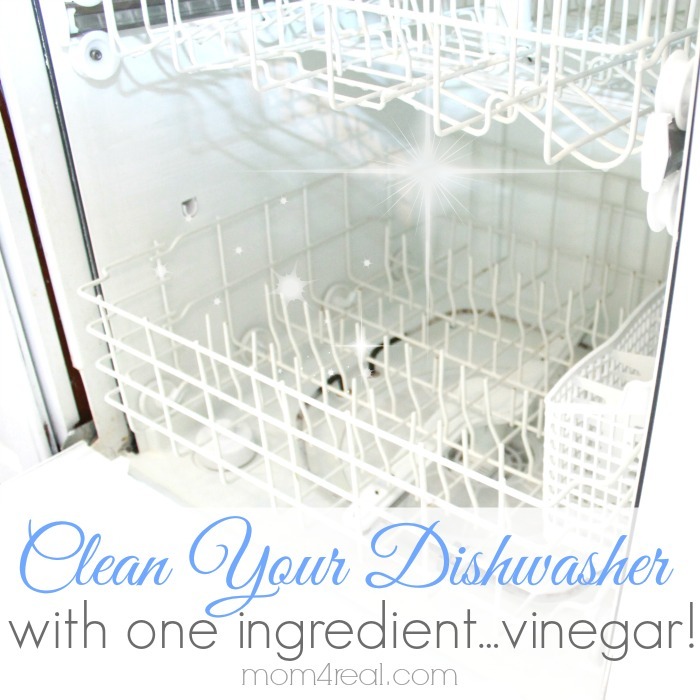 I have read that you can get a super clean dishwasher with vinegar, so I had to try it! 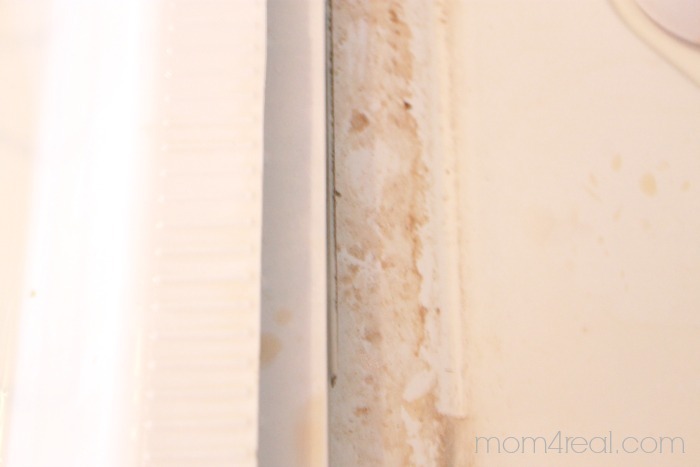 This is what I started with…a coffee stained, icky dishwasher…please tell me this is what yours looks like too! I took this photo of the inside lip of my dishwasher, right where the door connects to the bottom of your dishwasher. Umm…gross! I filled my trusty Pyrex measuring cup with two cups of white vinegar and ran my dishwasher normally, just like I would if it were full of dishes. And guess what? It worked like a charm! 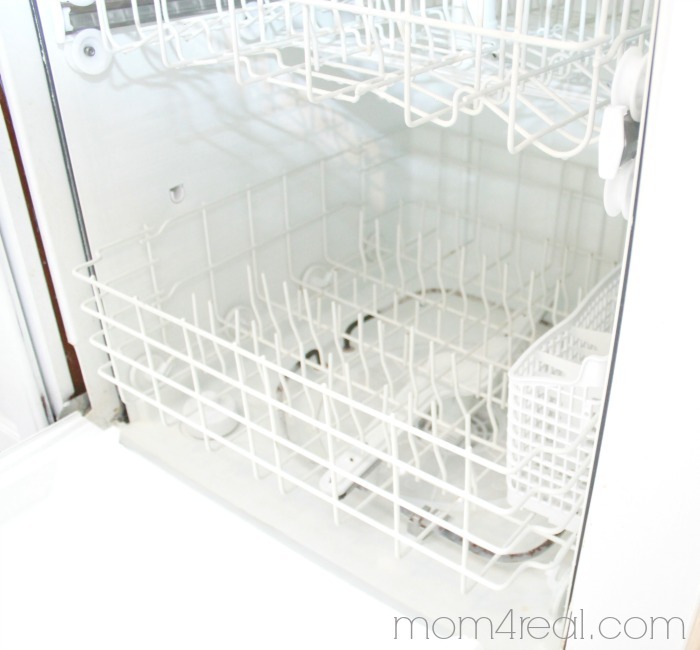 My dishwasher is all sparkly clean, and it cost me pennies…whoop! I’m interested in seeing how long it stays clean, but I can definitely say I’ll be using this method to clean my dishwasher every. single. time! So, now I guess I can add this to my other kitchen cleaning tips! If you have any tips for me, I’d love for you to share them in the comments below! Love this easy cleaning tip? 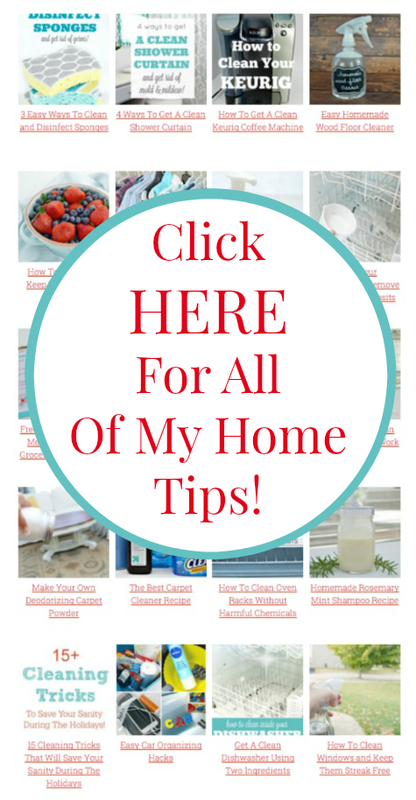 Find hundreds more easy cleaning tips and tricks on my Home Tips Page HERE! Did you pour the vinegar into the bottom of the dishwasher? You can, but I usually don’t. Just wondering if you ever posted about bathroom cleaner and how to clean that soap scum from the glass shower door without buying lime away or something costly? I use a razor blade and vinegar then I rub wd-40 with an old rag all over the glass. It seems to keep the soap scum away for a while. Spraying the glass doors with Rain-X helps keep soap scum off too. I was in a hurry to get my shower cleaned. So, I grabbed my car wash and wax solution and my car wash brush. It took very little time and almost no effort to get the grungy shower and glass door sparkly clean. I was amazed. It’s the only method for shower and tub cleaning that I use now. Avon Skin So Soft works great to clean glass shower doors and it leaves a fresh scent. Great tip, thanks for sharing! That stuff is also the BEST mosquito repellent. So, does this clean the filter as well? I’m not real sure, Whitney…wish I knew! Is it safe for stainless steel interior? 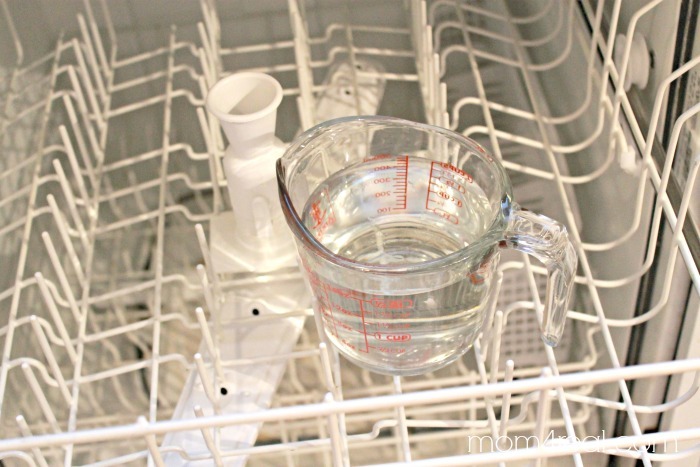 Did you run the Dishwasher with or without water? Hi. This may seem silly but I’d also like to know if you add the dishwasher detergent. Also, it you don’t feel like celebrating have white vinegar, can you use the brown cider vinegar? Thanks for the tip! 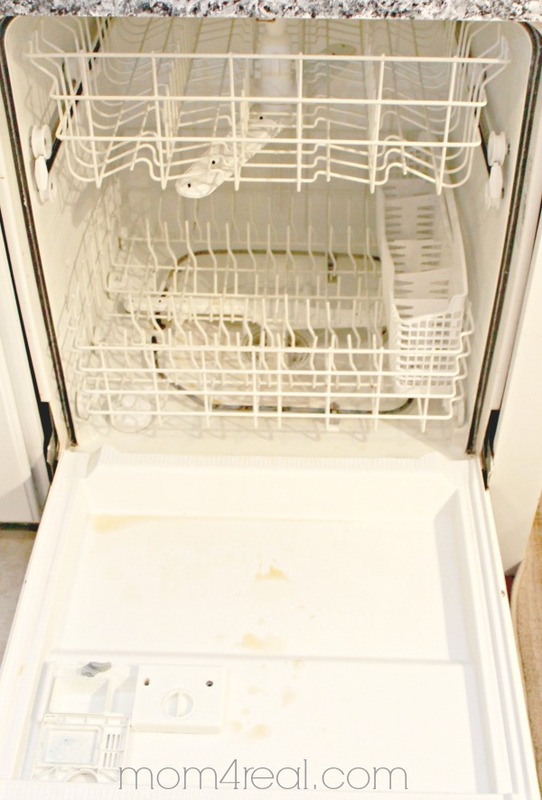 Do you use dishwasher soap as well?